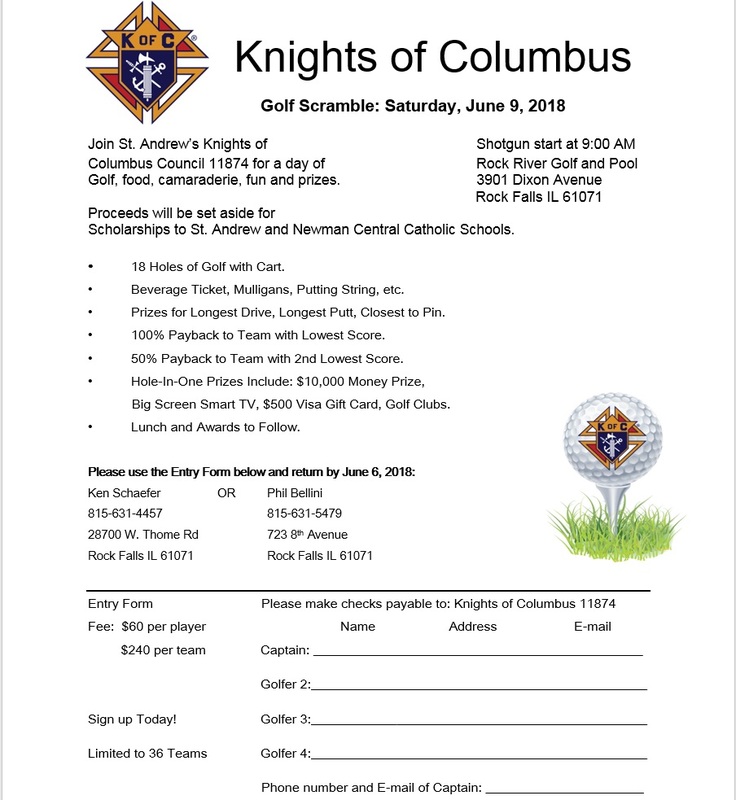 The Knights of Columbus is a service organization that supports our local Catholic community. They perform manual labor when needed, offer St. Andrew School and Newman High School scholarships, donate needed funds to Self Help and Gianna's House Pregnancy Resource Center, sponsor a February Father/Daughter Dance, etc. Fundraising projects include Sunday breakfasts and the annual September Tootsie Roll drive. All men are welcome! Meetings are held on first Thursdays at 7:00 pm in the parish school. Call Grand Knight Dan Murray 815-520-2914 for more information. Click here for more information on the Knights of Columbus. The Knights of Columbus Council #11874 would like to thank the parishioners and residents of Rock Falls, and business owners for their generous support of the Knight’s Tootsie Roll Drive Campaign for people with intellectual disabilities. Donations to this program are used to support programs geared to improve the quality of life for individuals with disabilities. The Knights of Columbus donate 100% of the donations to Self-Help Enterprises in Sterling, IL.